ELIZABETHTOWN, KY. (February 5, 2019) – The Kentucky State Police Post 4 in Elizabethtown covers 8 counties. They include: Hardin, Jefferson, Bullitt, Nelson, Meade, Breckinridge, Larue, and Grayson. The West Region covers 8 post areas. They are: Post 1, Post 2, Post 3, Post 4, Post 5, Post 12, Post 15, and Post 16. We will continue to conduct traffic safety checkpoints through February, March and the rest of 2019 looking for impaired drivers, unrestrained motorists, and other traffic violations at various locations throughout our post area. For the month of January 2019, Post 4 Troopers and Detectives wrote a total of 1,935 citations. We removed 24 drunk drivers from Kentucky roadways and cited 403 speeders. 95 violators were charged with failure to wear a seatbelt and 5 citations were for failure to use a child restraint. We investigated 60 collisions and conducted 1,499 vehicle inspections. 550 motorists were given a courtesy notice in lieu of a traffic citation for minor traffic offenses. We assisted 138 motorists stranded on Kentucky roadways and answered over 828 citizen’s complaints. We were involved in 707 special details and conducted over 9 community programs that reached over 1,015 citizens of the Commonwealth. Our Detectives and Troopers opened over 60 criminal cases, made 210 criminal arrests, and served over 97 criminal court documents. In addition, we contacted over 260 victims of crimes on cases that we investigated. Additionally, we conducted over 44 school and business security checks throughout the entire Post 4 area. In total, Post 4 Troopers, Detectives, and Command Staff logged over 9,344 hours of service for the Kentucky citizens we served. In addition to the Trooper and Detective monthly activity, Post 4 dispatchers logged over 1,812 data entries while still answering hundreds of calls from citizens in our area. 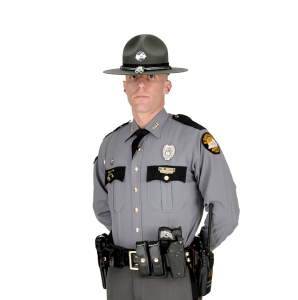 KSP Post 4 will be operating Road Safety Checkpoints as well as Speed Checkpoints throughout the 8 county Post 4 coverage area for the months of February/March and throughout 2019.